Yesterday evening(February 5th) Emily Blunt stepped for the New York screening of 'To Dust' which was held at The JCC. 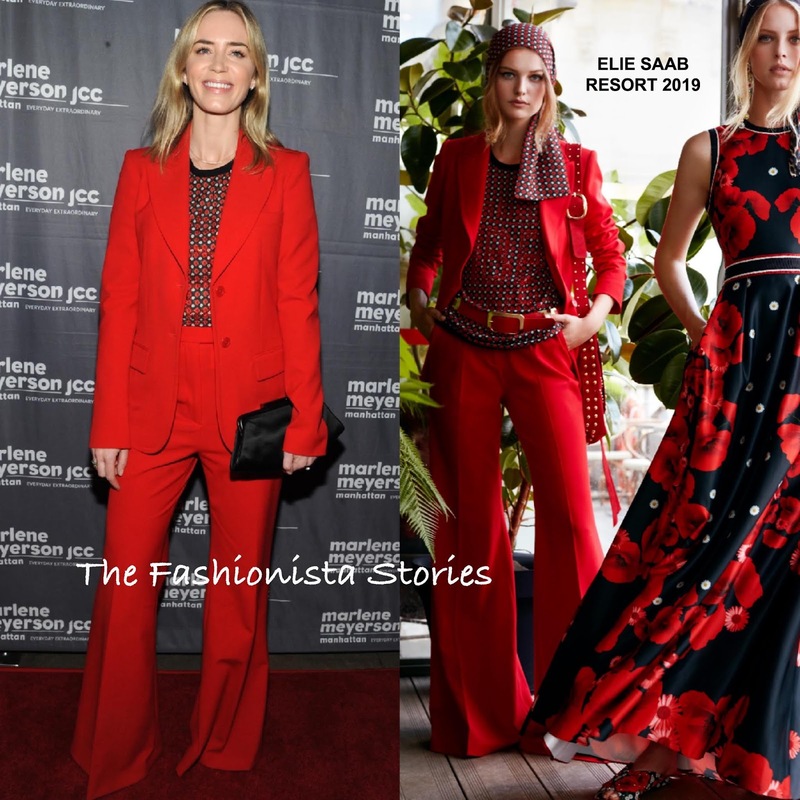 Emily worked a power suit courtesy of ELIE SAAB, which featured a red tuxedo jacket & the matching flare leg trousers and printed, crepe knit top. Love the look but I wish the pants were hemmed. Staying on the minimal route with the styling of her look, she finished up with light make-up, center part tresses and a black satin clutch.